One of the best features of our Digital Marketing Software is our automation tool. (if not the best) It is listed in the navigation as “Workflow”. Keep in mind you want to use this in baby steps. Don’t get so out hand with when you use email marketing automation software things could get messed up with where your subscribers end up. I had one Sendlane user create an automation that as soon as someone opted in to their landing page the automation unsubscribed them instantly… not something they wanted or most people for that matter. Sending a series of emails to only subscribers that click a link in an email sent previously. 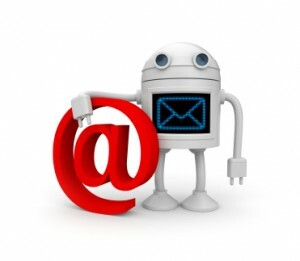 Set up the automation to send a different series of emails to subscribers that didn’t open a certain email. You can set up an alert to notify you anytime someone subscribes to your list. Unsubscribe people that have been inactive on your list after a certain amount of time. Moving subscribers through multiple funnels. Triggering emails as soon as your customer makes a purchase. …the list will go on and on. I am currently setting up a way to have a single subscriber move through three or four different sales funnels using email marketing automation software. There are so many variables and ways to use this awesome module I could go on forever. What I want to show you is way to move subscribers from on one list to another automatically. In order to do that you want to make sure you have the automation set up before you start driving traffic to that list. This is exactly why the automation tool is triggered by an opt-in. See the video below to see how the flow should look.